Browse: Home / Will Planned Antichrist be a Lama? – The Dalai Lama is only a marketing program to make Tibet look good. He and his 100 servitors could never have exiled Tibet without the agreement from the Chinese government. 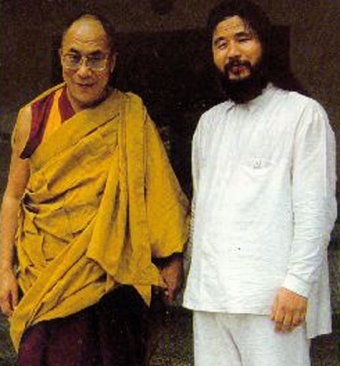 The Chinese government and Lamaist (Tibetan Buddhist) organization are closely linked on an occult level. The true “spiritual” leader of Lamaism is the Panchen Lama, who is almost unknown at all outside of Tibet. He’s considered as the “black pope” (the catholic pope is the “white pope”). – The Catholic Church and Lamaism are closely linked. Jesuits have been traveling to Tibet and helped to setup the hierarchical lamaist organization (the first Dalai Lama was named in the 14th century), which in turn offered help to the Vatican (this confirms many theories according to which all the major world religions are secretly linked at the very top). Many spiritual leaders in Tibet are in fact Jesuits. Both hierarchies are arranged scientifically to optimize the function of black magic rituals. – He mentions Maitreya, who is supposed to be the upcoming reincarnation of Buddha, but which will be used by those in power as a false messiah to “save the world”, from problems which are mostly illusory because created by those in power.